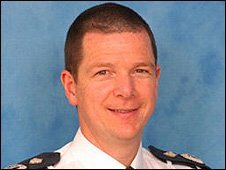 Hampshire's chief constable says he is keeping an "open mind" about reopening an inquiry into deaths at a hospital until he has seen the coroner's report. 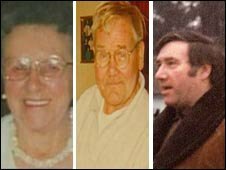 An inquest jury looked into 10 deaths at the Gosport War Memorial Hospital in the late 1990s and found three were given "inappropriate medication". Chief Constable Alex Marshall said there were no plans to reopen the case but he would look at the verdict. Police looked into the treatment of 92 patients but no charges were brought. Mr Marshall told BBC Radio Solent: "The first thing I would like to say is the families have clearly been through a dreadful experience and I have a great deal of sympathy for them." He said that during three police investigations hundreds of statements were taken and some of the most senior investigating officers were put on the case. "The case was taken to the CPS (Crown Prosecution Service)... and the decision was there was nothing to prosecute in this case, " Mr Marshall added. "I have watched what has happened at the inquest and think some serious things have been said. "What I have to look at very carefully is to see if anything new has come out of the inquest. "At first glance these do appear to be the same issues as before which the CPS has made a decision on. "I will wait for the coroner to produce his verdict in writing, I will very carefully read that verdict and if anything new emerges we will reconsider our position." In recording a narrative verdict, the inquest jury also found that two patients were given the correct medication but in doses which contributed to their deaths. The jury at Portsmouth Coroner's Court decided that in the cases of Robert Wilson, 74, Geoffrey Packman, 66, and Elsie Devine, 88, the use of painkillers was inappropriate for their condition. Arthur Cunningham, 79, and Elsie Lavender, 83, were prescribed medication appropriate for their condition but in doses which contributed to their deaths, jurors found. In the cases of Leslie Pittock, Helena Service, Ruby Lake, Enid Spurgin and Sheila Gregory, the jury decided that the prescription of painkillers had not contributed to their deaths. Dr Jane Barton was investigated by police in connection with deaths but she was not charged with any offence. The General Medical Council (GMC) has said she is under investigation and may face a fitness to practise hearing. The council said the doctor had been subject to an Interim Orders Panel (IOP) since July last year. As part of the conditions imposed on her while she is under investigation, she is banned from prescribing diamorphine. A GMC spokesman said: "Dr Barton currently has conditions on her registration. "These conditions were put in place by an Interim Orders Panel (IOP) which has the power to restrict a doctor's practice while an investigation is ongoing. "At the end of the investigation, a case could be referred to a fitness to practise panel hearing."